Jordan Lofts SOWA, new construction. Luxury 3BR plus study/3.5BA Condo 2,160sf with dramatic Northwest views & Private Terrace, all on one floor living. The Jordan Lofts is ideally located in the SOWA section of the South End, one of Boston 8217;s most vibrant neighborhoods with its great restaurants, shops & art galleries. This boutique luxury building has 14 units with concierge, residential lobby and direct elevator access garage parking. This home features soaring 12 foot ceilings, expansive living room with Back Bay views and open style gourmet kitchen with top of the line appliances and adjacent breakfast room/office and large private Terrace. Grand Master bedroom suite features 5-fixture marble bath and walk in closet. Spacious 2nd and 3rd bedrooms with en-suite baths. Also features den off the living room ideal for dining/media room or study. Home is complete with wide plank oak hardwood floors and separate pantry/laundry room and direct access garage parking. 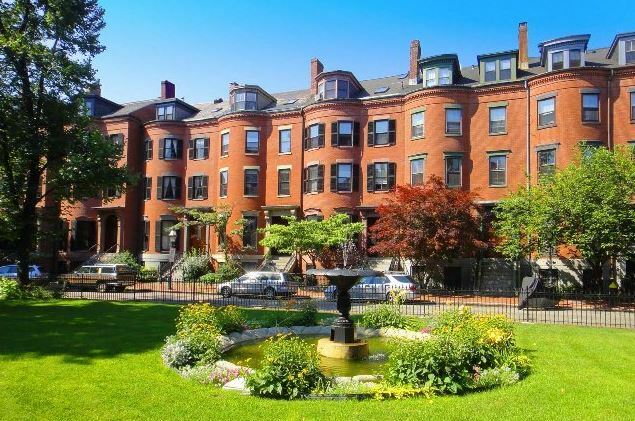 Rare opportunity to buy in one of the South End's Golden Blocks. Truly one of the best locations in the city where you are close to the perks of the city on a tree-lined, quiet street surrounded by other beautiful townhouses and Hayes Park. The last time this building was on the market was in 1979. We welcome buyers to tour this property to see how they would reinvent this large bowfront townhouse with a deep rear lot for a garden and parking. Presently set up as an owner's lower triplex of 3 bedroom, 1.5 bath,with a newly renovated kitchen and baths, large deck off the parlor floor and private garden. Unit 2 and Unit 3 are floor thru one bedrooms. Building can be delivered vacant. Presently there is a large garden and 2 full parking spaces in back and it has potential to be reconfigured to 4 tandem spaces still allowing plenty of room for a garden patio. Given recent sales of townhouses and parking in the neighborhood, 77 Montgomery is a great investment opportunity.